November 18th in Wordpress Hacks by Wordpress Jedi . I don’t know about you, but when I started my blogging journey with WordPress, I was always interested to find more efficient way to get things done faster. One way to do it is of course to run an automatic WordPress blog. What do I mean by automatic? Well. Let’s say you have 5 blogs that you update on a daily basis, and you provide very useful information to your readers. Wouldn’t it be nice to be able to have day off (for whatever reason) and still manage to post some useful content to your blog? That’s all automated blogging is about. Believe it or not many folks run semi-automated blogs and get away with it. In essence, they post 3 times a day and the other days, they use a software such as WordPressDirect to post useful articles or videos to their blogs. There are other solutions that you can use to run automatic blogs, which is why I decided to dig in to find out if there is anybody out there teaching how to run a fully-fledged automatic WordPress blog. 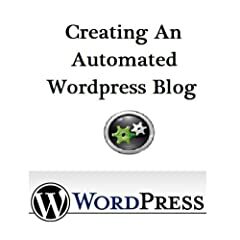 The one I found on Amazon is “how to create an automated WordPress blog.” The author has many other training packages for sale, and the content is in general top notch. With the right combination of plug-ins and other tools, you can effectively run an automated blog without having to pay for a service such as WP Direct. Automated blogging is in early stage right now so you should definitely mix automatic posts with real posts to keep your blog fresh. Having said that, it’s good to have an insurance policy in case you get sick or break a leg.